35 inch BFG KO2s & MB TKOs for trade for Rubicon wheels!! - MB TKO 16x8 wheels in black. I'm looking for a set of 2013 - 2017 Jeep Rubicon wheels and tires. Looking for a straight up trade, my loss is your gain. It won't let me upload pictures, if you're interested I can text them. Thanks! If you end up needing to buy rubi wheels let me know. I still have my take-offs with less than 300 miles on them. I could probably be talked into the tires as well but I'm not as interested as I can use those elsewhere. ^Thanks brother. Will keep that in mind. -Basically anything under a 35. I've got 33's and wanting to go 35s. mine are on 16" American Racing black and silver wheels. 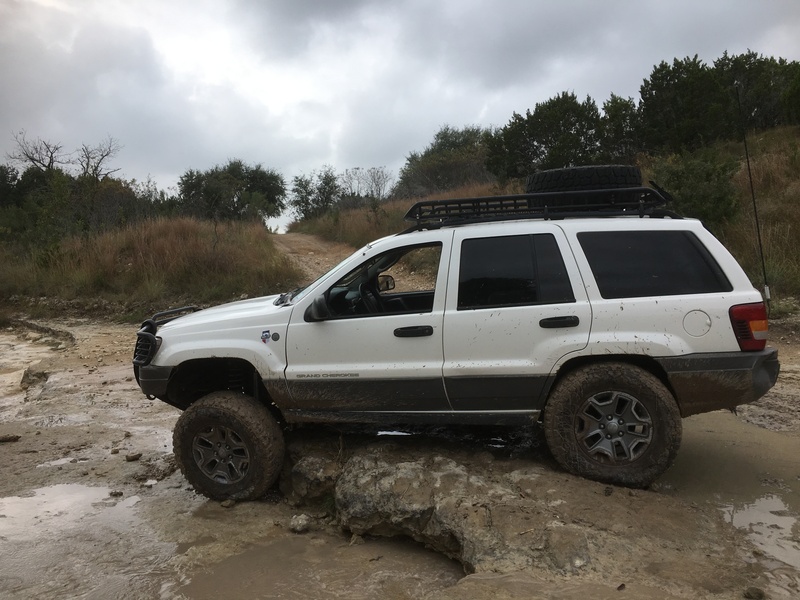 My rigs trail only, not sure you want to swap tires as mine are rock rashed. I can add cash if you do want my tires.. let's talk. edit. Or pay cash for your 35s. Last edited by denverd1; 01-03-2017, 03:52 PM. Hey Napalm, I've got these Rubicon with 285/70/17's DynaPro M/T with about 70% left. Text me a pic of your wheel/tire combo if you are interested. My cell is 936-554-8156. I'l rely back with a better pic of the tread and rock rash on the wheels. Hey guys, sorry for just now getting back to your posts! i appreciate both of your offers, and you both had what I was looking for. Unfortunately, I swapped them out for some stock Rubi wheels & tires a week or so ago.